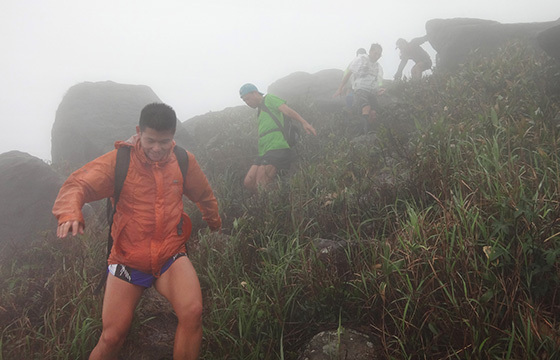 I led this run for the HK Trailrunners Meetup Group. 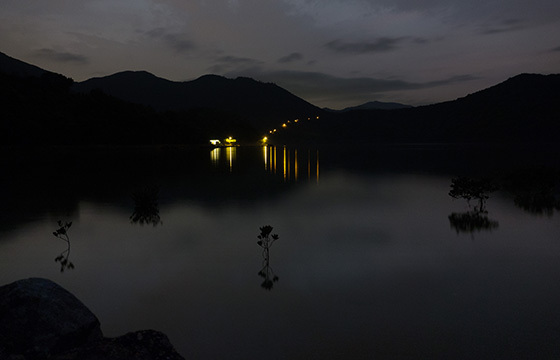 We started at Shing Mun Reservoir and warmed up by climbing the Lung Mun Country Trail. After crossing Tai Shing Streeam we followed some fun mud paths to Lead Mine Pass and then ultimately ran down to Greenwood Terrace and took a mini bus to a delicious dai pai dong. 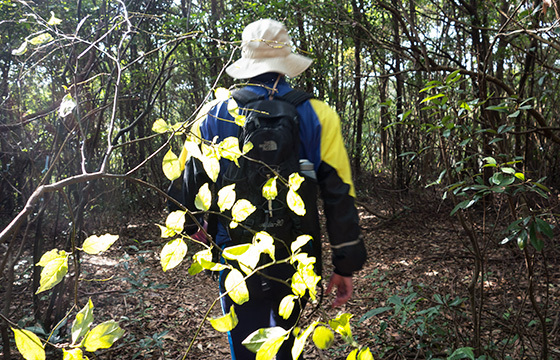 Myself and Ray explored some of the overgrown trails climbing from Siu Lek Yuen. We followed a varied, overgrown climb scrambling over massive rocks along the way to Turret Hill. Then it was down to Mui Tsz Lam before taking an ancient village path up to Buffalo Pass. Then it was MacLehose Trail 4 to Sha Tin pass and down to a dai pai dong for delicious foooood!!! 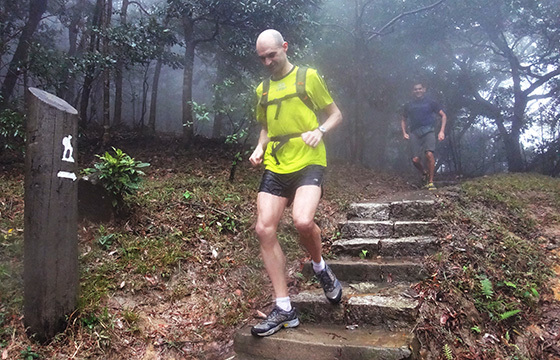 I led this run for the HK Trailrunners Meetup Group. We started at Fo Tan and followed a hidden, overgrown path up to Kau To Shan. Then we ran on some prehistoric trails before the steep climb to Grassy Hill. After descending to Lead Mine Pass we took the Helicopter Path and before cresting a hill and down to Fo Tan for food and beer and fun!!! 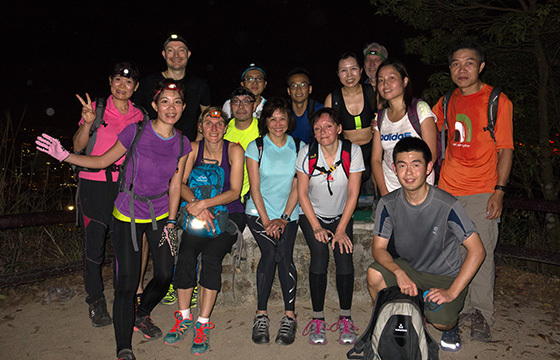 I led this run for the HK Trailrunners Meetup Group. We ran the yearly Buffalo Hill run in the opposite direction this year and it was as good as ever. Particular highlights included a super fast descent of Tung Yeung Shan, the very overgrown bamboo grove close to Tai No and the final climb of West Buffalo Hill. After the run we relaxed with a BBQ. 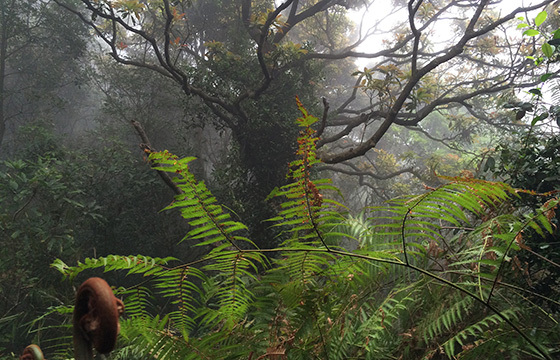 Decided to head up to Tung Yeung Shan in the wet, misty weather and explore some overgrown trails. Some nice steep climbs in rainforest like trails before improvising a route to a contour trail and then walking through countless spiders' webs along an awkward contour trail. If spiders' webs really are good for your skin I'm gonna look amazing tomorrow!!! I led this run for the HK Trailrunners Meetup Group. Well ...I promised everyone scratched legs!!! 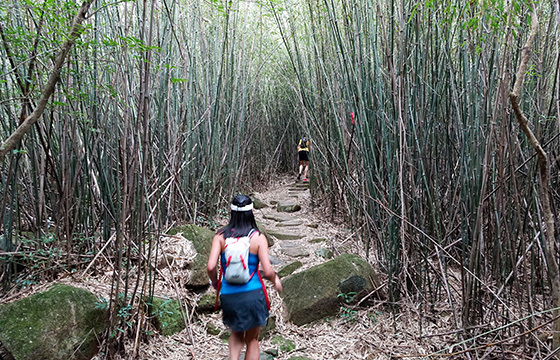 Starting from Luk Keng we followed overgrown ups and downs, passing a mysterious hollow to Tiu Tang Lung. After a VERY overgrown descent to Kop Tong we passed Lai Chi Wo, So Lo Pun and Yung Shue Au before reaching Shek Nga Tau for calm sunset. 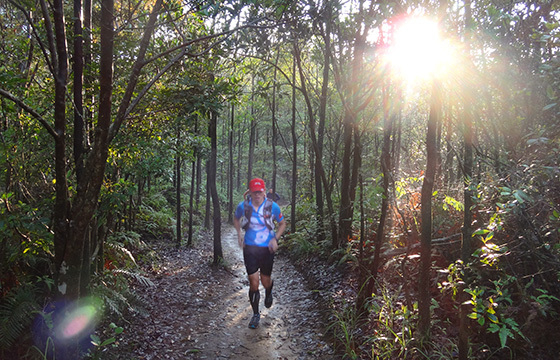 I ledthis run for the HK Trailrunners Meetup Group. We started from Wu Kai Sha and followed an extremely steep path up towards Ma On Shan. The conditions were, wet, misty, windy and cold but we got to the summit eventually. Running down to MacLehose 4 we continued to Sha Tin Pass as sunset turned to night before hitting a dai pai dong. I led this run for the HK Trailrunners Meetup Group. 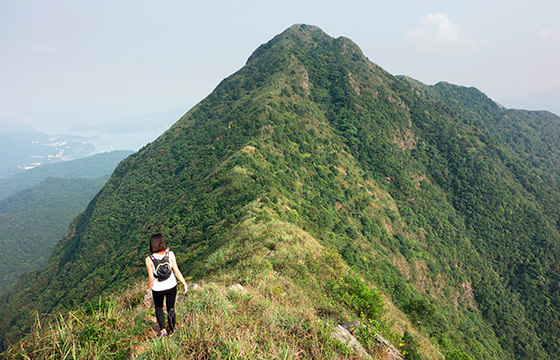 We started from Shing Mun Reservoir and climbed the Lung Mun Country Trail before taking a diversion to Tai Shing Stream and following the path to Lead Mine Pass. Then came the gorgeous helicopter path before a steep climb and descent to Fo Tan for delicious roast pigeon!! I led this run for the HK Trailrunners Meetup Group. The yearly Buffalo Hill run was brilliant as ever. We started by climbing Tung Yeung Shan. After the long descent we ran to Kai Ham and took the gorgeous old village path up to Tai No. From here came an overgrown, bamboo filled climb to Buffalo Hill. Then West Buffalo Hill and down for food. Great!!! 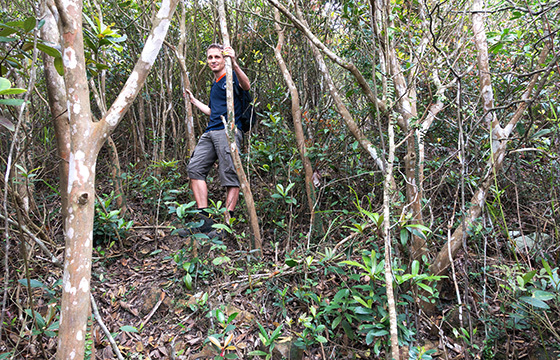 Myself and JY decided to explore some unsignposted paths in Sai Kung. First came a spidery climb to Tai Cham Koi. Then, briefly, the Luk Wu Country Trail before a series of hidden, adventurous paths towards Tai Mun Shan. We got lost several times! Finally a super steep path we hoped would end at Ham Tin beach but actually ended at Tai Long Au. A fun adventure! 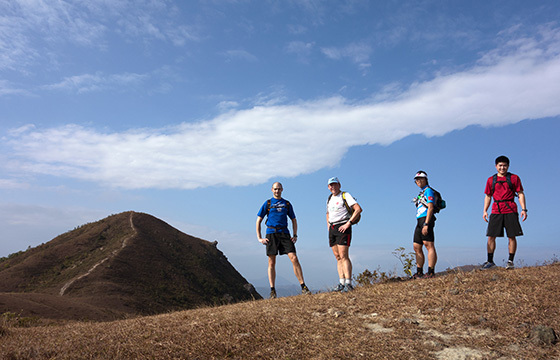 Stage 4 is one of the most rugged and technical stages of the 100km MacLehose Trail. It starts with the massive climb of Ma On Shan and then a few rocky undulations before a pleasant plateau. Then a descent to Mau Ping and a sustained climb to Buffalo Pass before more undulations to Gilwell Campsite. I tried to blast stage 4 to get the Strava CR. Did I get it??? 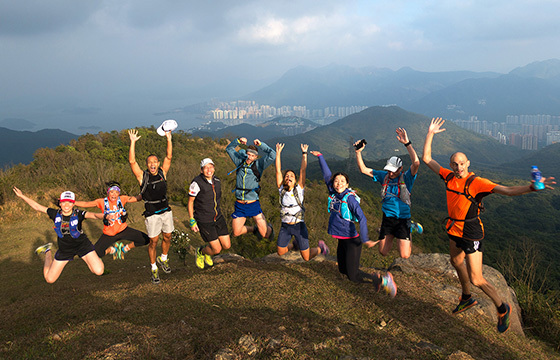 I led this run for the HK Trailrunners Meetup Group. From Mui Wo we followed Lantau Trail stage 12 backwards, having fun on the long descent to Chi Ma Wan Road. We then followed the Chi Ma Wan Country Trail for a while before descending to the coast, and passing Mong Tung beach on the way to Pui O. After resting, we ate at a dai pai dong in Mui Wo. 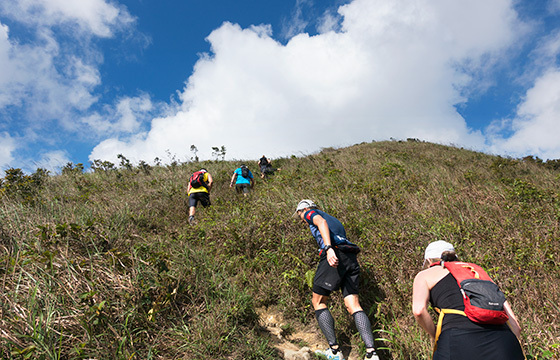 I led this run for the HK Trailrunners Meetup Group. The Fotanian is a great free art event in the industrial buildins of Fo Tan. To celebrate this we ran from Sha Tun up over Needle Hill and down to Shing Mun Reservoir. After this we followed the Shing Mun Jogging Trail for 2.5km before climbing a hidden path up and then down to Fo Tan for Fotanian art and fun food. 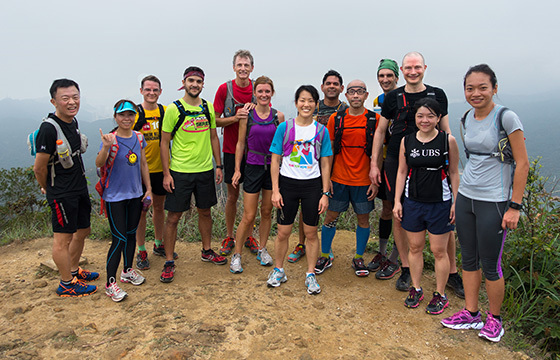 I led this run for the HK Trailrunners Meetup Group. On my return to Hong Kong I started with the same run I finished with last time. It really is a gorgeous route from Shing Mun taking the Lung Mun Country Trail before leaving to follow muddy green paths down to Lead Mine Pass. Now comes the Helicopter Path and a quick climb before delicious dai pai dong food. 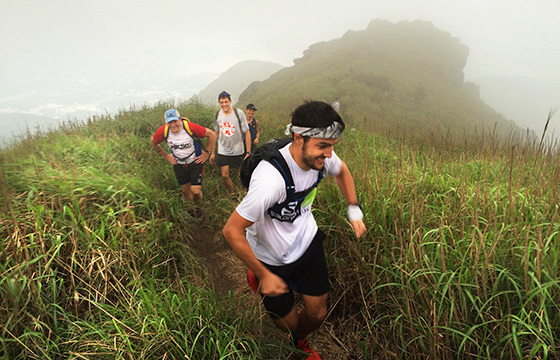 I led this run for the HK Trailrunners Meetup Group. We started at Shing Mun Reservoir and initially followed the Lung Mun Country Trail before leaving it and following one of the gorgeous mud paths in the area. A slippery crossing of Tai Shing stream and gorgeous bamboo grove followed before some more gorgeous mud paths and food at Fo Tan. 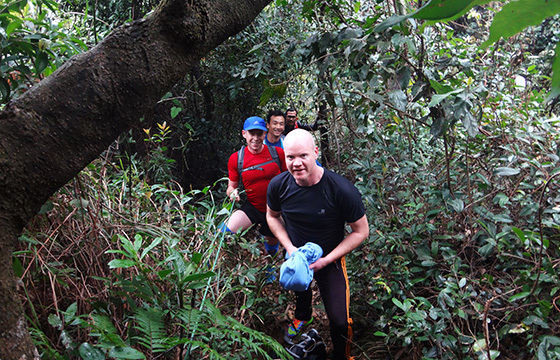 I led this run for the HK Trailrunners Meetup Group. Social_Run was designed to relax, enjoy trails and chat with like minded trailrunners. Today was a really fun run. Starting from Mui Wo we followed Lantau Trail stage 12 backwards to the start of the Chi Ma Wan Country Trail. We followed this for a few km before returning via the coast to Pui O. A voluptuous period of weather. Thunderstorms and rain with occasional dryness. 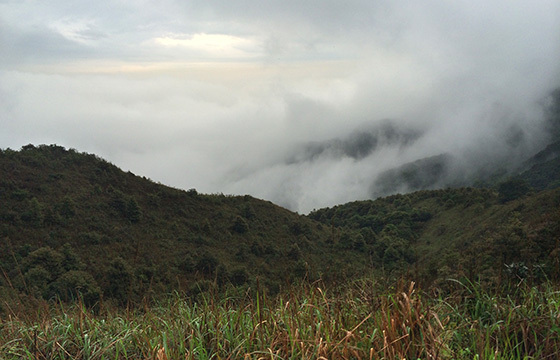 I took advantage of a gap in the clouds to run up Tung Yeung Shan and splash through puddles and forge through mist. Thinking about windfarms and mining uranium. One sustained interval running up the big 'ol hill but most of it this was just fun and reflection. No stress. I led this run for the HK Trailrunners Meetup Group. Almost exactly one year from the first Wild_Run we celebrated by following the first ever route again. 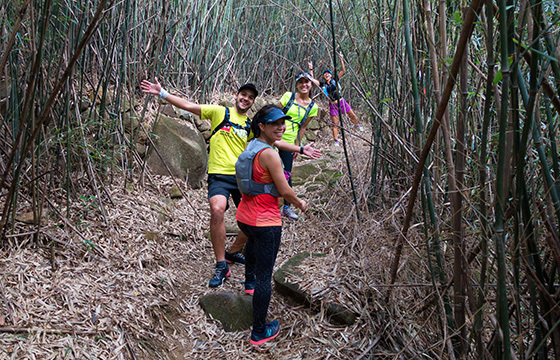 This begins with the climb of West Buffalo and Buffalo Hills before descending through an exciting bamboo grove to Kai Ham and climbing Tung Yeung Shan. It was very windy and rainy and really fun and exciting. Jean Yves and I decided to have a relaxing little stroll on the trails. This was preceded by a ferry trip of about 90 minutes from Ma Liu Shui to Chek Keng. 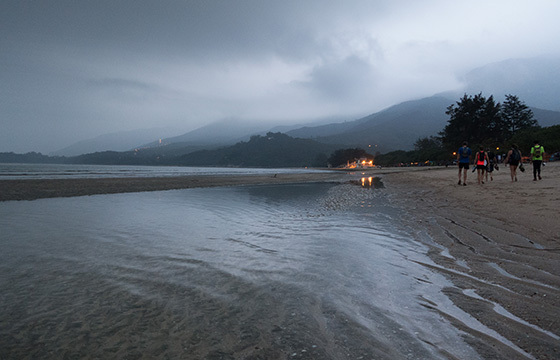 After exploring some trails we headed down to Ham Tin beach and ate food at the Hoi Fung Srote. By now it was dark so we had a fun night hike through Check Keng and To Kwa Peng and finished at Wong Shek Pier. This run was led by Henry for the HK Hiking Meetup Group. We started at Cheung Sha Wan MTR and walked directly to the trailhead. From here it was a brisk climb up to MacLehose Trail stage 5. We followed the MacLehose backwards past Beacon Hill to the base of Lion Rock. After resting and chatting a bit we descended to Tai Wai for some delicious food. 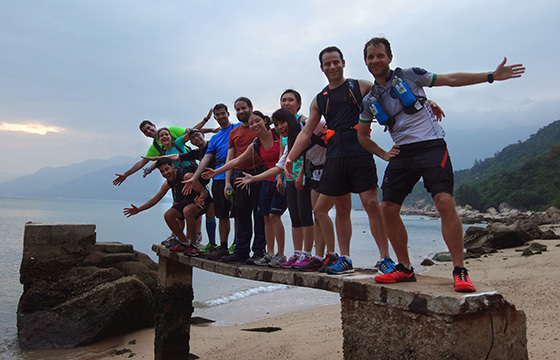 I led this run for the HK Trailrunners Meetup Group. 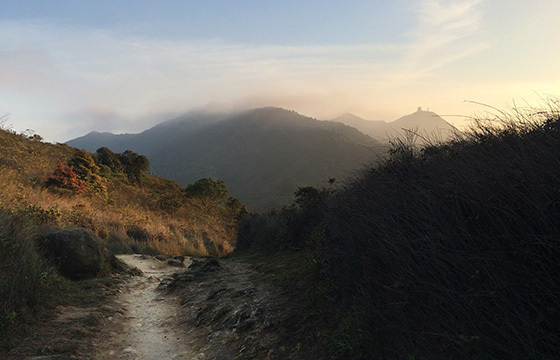 From Pak Tam Chung we ran on gorgeous sunlit trails before the eroded, steep climb of Lui Ta Shek. Then a VERY steep descent down to MacLehose 3 before an overgrown path and the climb of Shek Uk Shan. Enjoying our scratched legs we climbed Mount Hallowes and in the dark, finished at Hoi Ha. I mat Carsten at Tsing Lung Tau and we walked the KOTH Sham Tseng half marathon route. This is a gorgeous, runnable route with many shaded mud paths and lots of green. 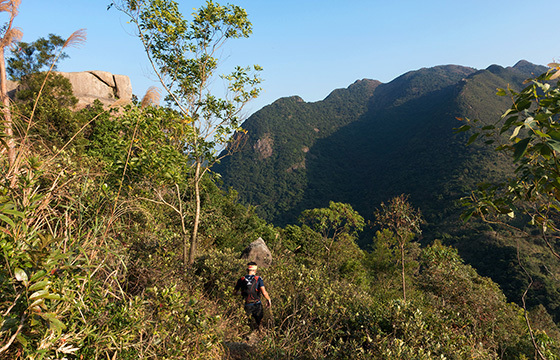 The route includes marked trails such as the Yuen Tun Country Trail and MacLehose and also really fun technical sections such as the descent from the MacLehose Trail to Sheung Tong village. I led this run for the HK Trailrunners Meetup Group. Lead Mine Loop is a really great test of trailrunning. It begins with the long, steep climb of Needle Hill. Followed by the long, more sustained climb to Grassy Hill. Then comes the plummet down to Lead Mine Pass, a gentle, fast downhill on a road and finally the 5km mud Shing Mun Jogging Trail. Race us on Strava! 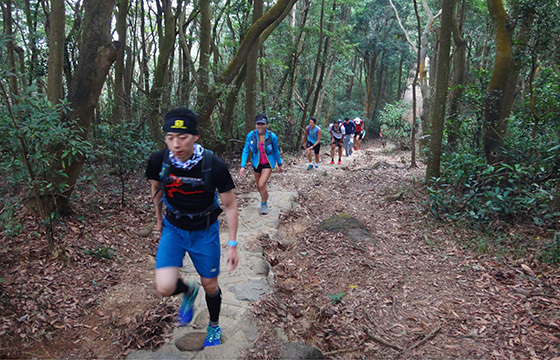 I led this run for the HK Trailrunners Meetup Group. We started from Wu Kai Sha MTR and followed a very steep, slippery path to the Hunch Backs (Ngau Ngak Shan). 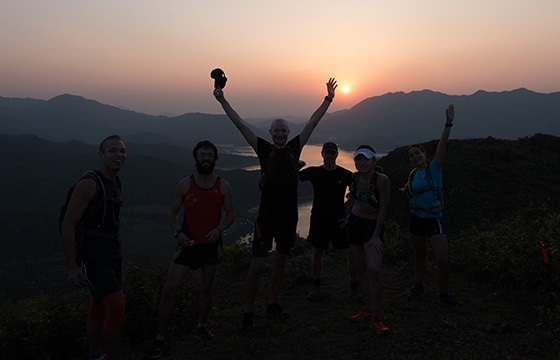 From here a delightful ridge to the peak of Ma On Shan, descending to MacLehose Trail stage 4 and enjoying a twilight run. At Shak Nga Pui we descended to Wong Nai Tau for food and beer.